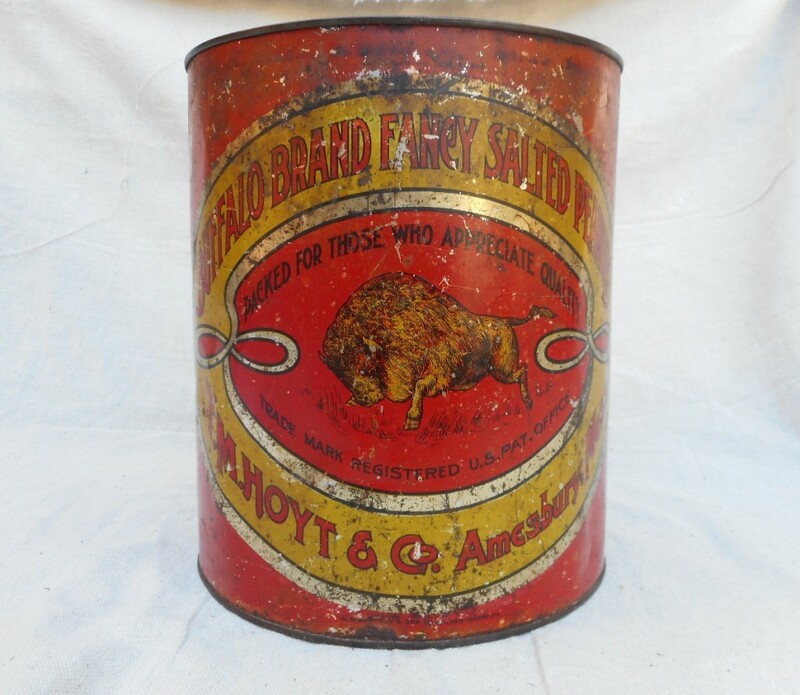 Big tin for salted peanuts from the E.M. Hoyt company out of Amesbury, Mass. Circa 1890. Measures 9.5" with a 26" circumference. Wonderful and collectable!